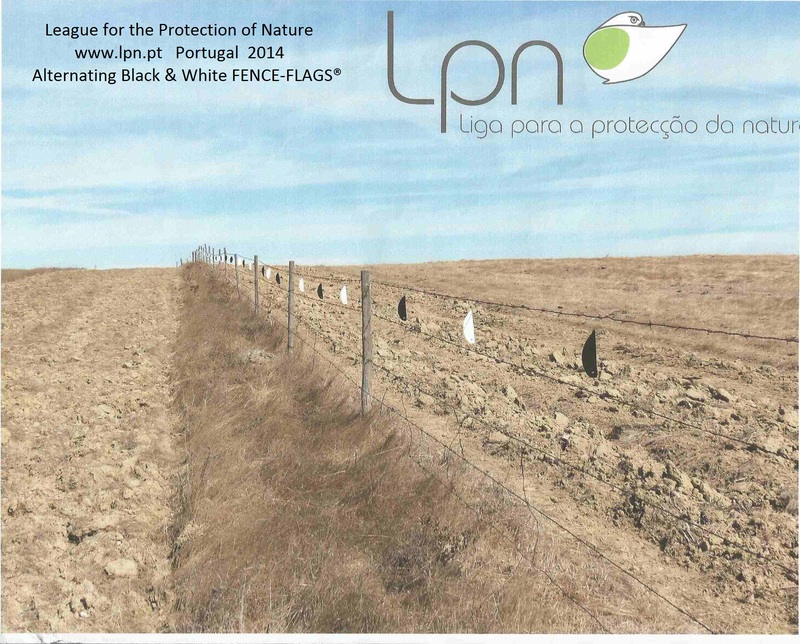 FENCE-FLAGS® Make YOUR Wire Fence More VISIBLE & SAFER To Livestock, Wildlife & Humans!! On March 23rd six volunteers and two Conservancy employees traveled to Crooked Creek to (a) help put up fence flags on a Bureau of Land Management (BLM) allotment fence and (b) remove old fence wire on the Conservancy's Bezold Ranch. Click here for The Nature Conservancy in Idaho on how they literally put boots on the ground to save from harm and death, due to impact, Sage Grouse and Pronghorn Antelope. 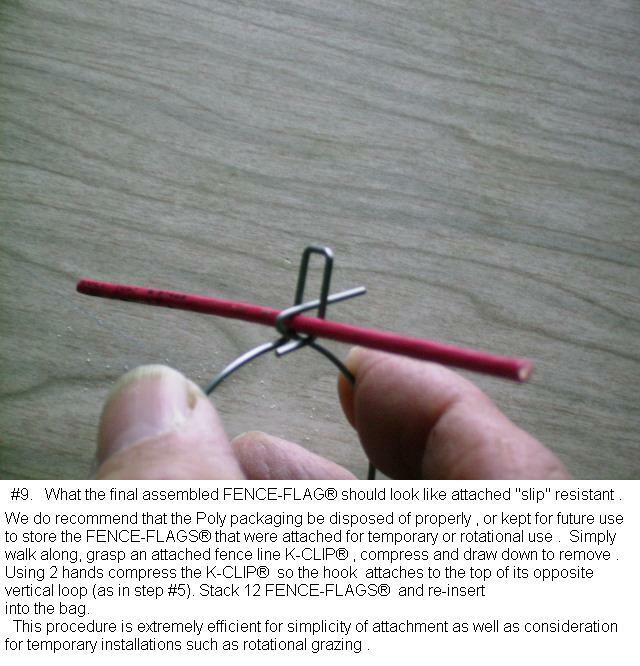 Click here for the Idaho Chapter of Sierra Club and Chairperson Edwina Allen's comments and photos of volunteers who installed FENCE-FLAGS® onto over 3 miles of Barbed Wire fence to mitigate the dire consequences of Sage Grouse impacting undetected Barbed Wire fence lines. 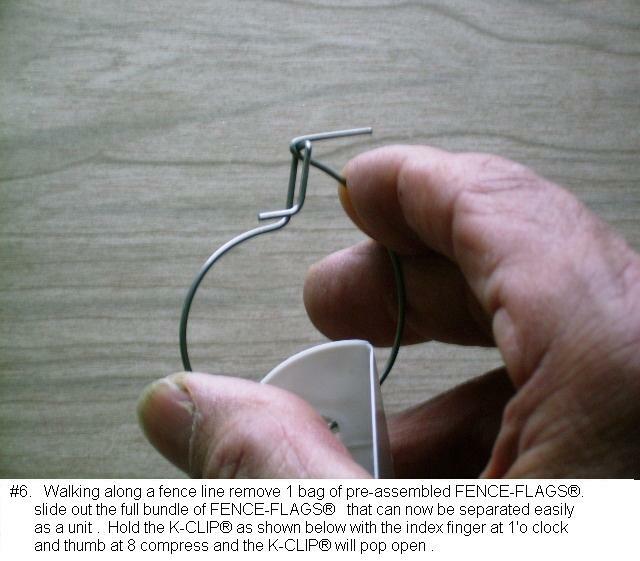 THE FOLLOWING FENCE- FLAG ® “BUCKET DROP” PHOTO SEQUENCE #1 THRU #9 ARE A SUGGESTED SIMPLIFIED TECHNIQUE FOR ATTACHMENT OF FENCE-FLAGS® SLIP RESISTANT ONTO WIRE OR CORDAGE BARRIERS. 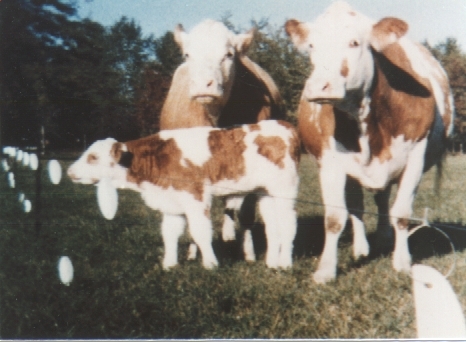 THIS PHOTO SEQUENCE IS THE PROPRIETARY PROPERTY OF MOM & POP PRODUCTS CO. AND ALL COPYRIGHTS TO IT, AND IS FOR FREE USE OF ANYONE TO BE USED FOR INSTALLING FENCE-FLAGS®. 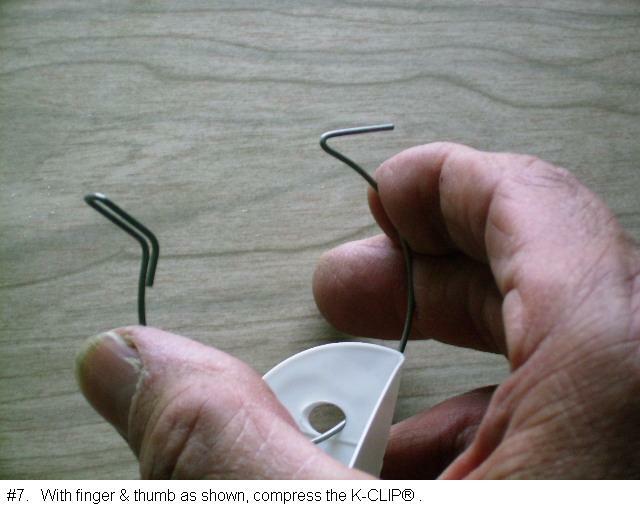 Below is a picture showing how to make the K-CLIP® clip to itself to be used for alternative methods. 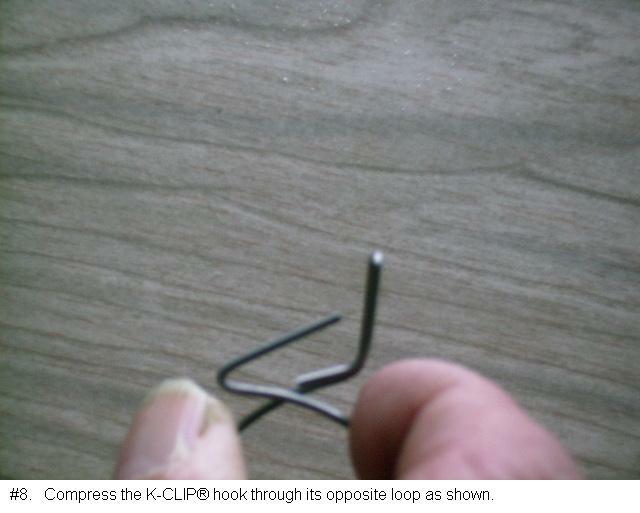 Below are some pictures showing the K-CLIP® in alternative method scenarios. 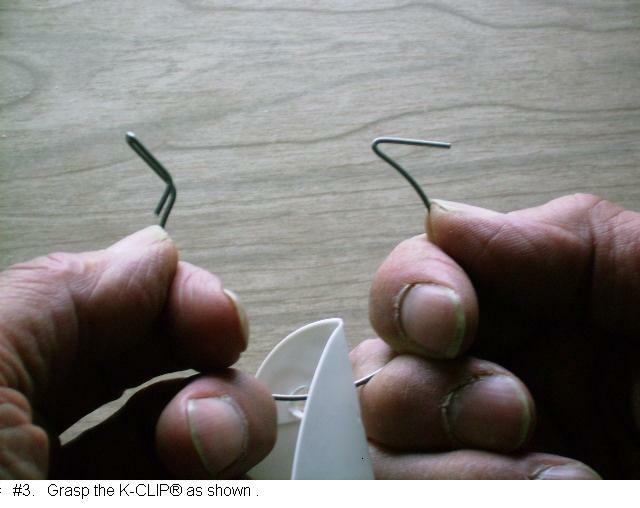 Our flag is shown with the K-CLIP® in use but you can choose your own flag to use for identification. 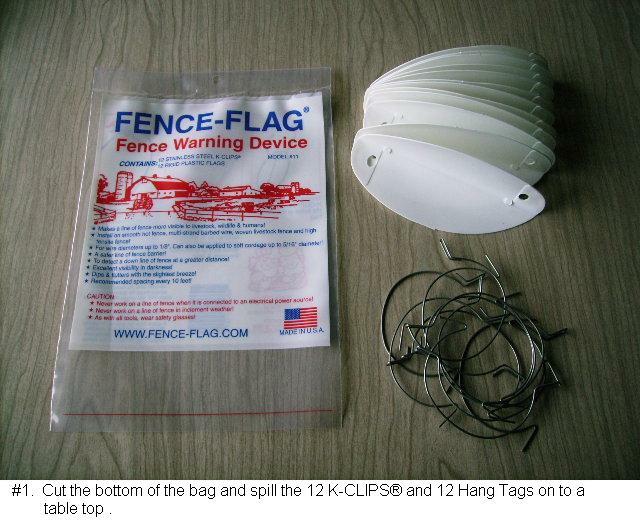 FENCE-FLAGS® are a U.S. Patented Fence Identification Device using an oval shaped 3" X 5" rigid plastic form, UV stabilized and having a permanently molded 90° bend with a reinforced hang hole on either end. 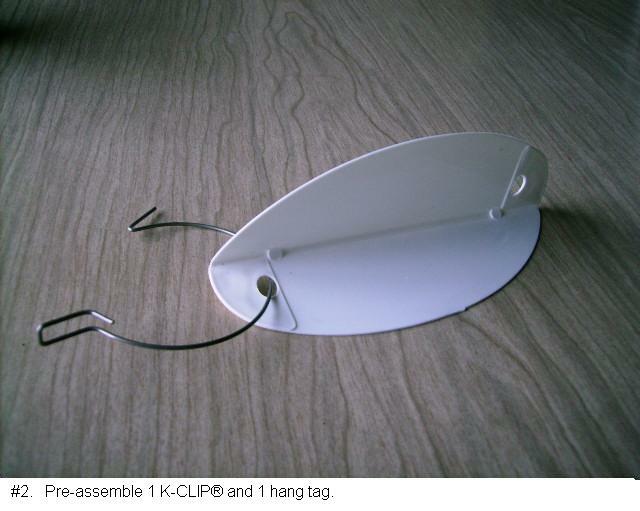 The flag hangs in free suspension from one of the holes, the other being a spare, to provide MOTION in the slightest breeze that will compel detection, by a uniquely formed Stainless Steel K-CLIP®. 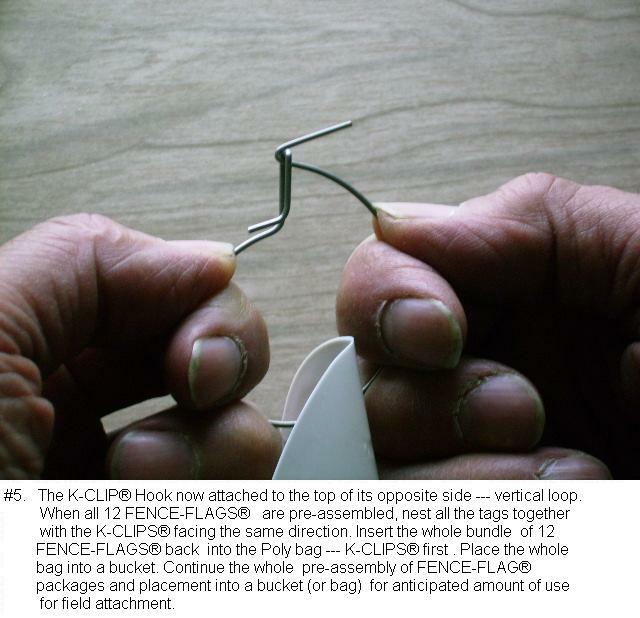 The K-CLIP® instantly attaches with finger tip manipulation to any style line of fencing commonly used to control Livestock and Wildlife. 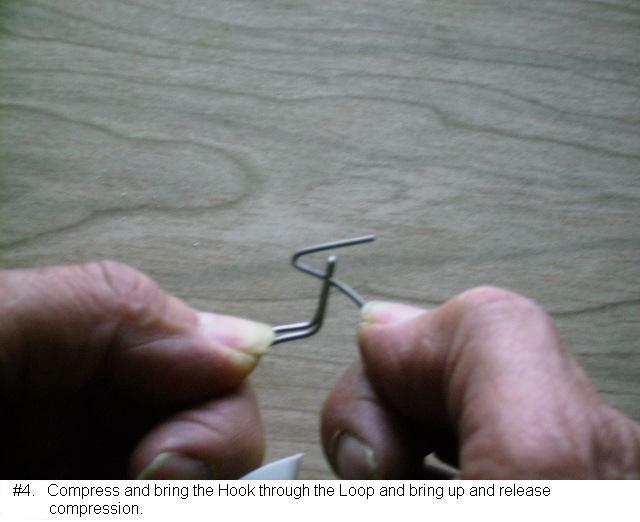 The constant force of the spring tension by the K-CLIP® provides excellent slip resistance on smooth steel wire up to 1/8" diameter (Do not use on Aluminum wire) and cordage diameters to 5/16". 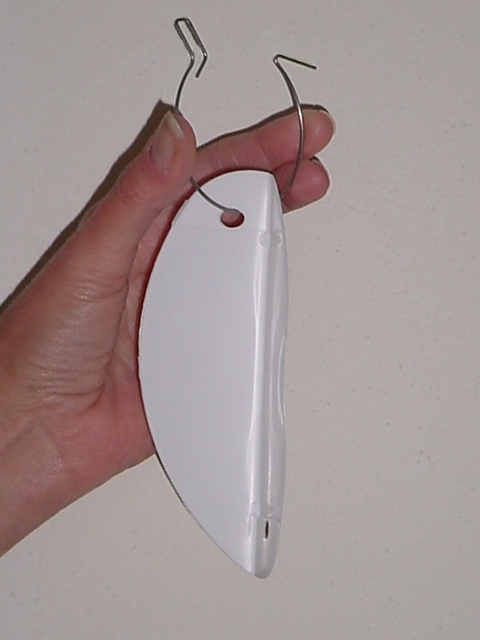 The WHITE FENCE-FLAGS® provide excellent visibility in daylight as they dip and flutter with the slightest breeze and have superior detection in darkness. 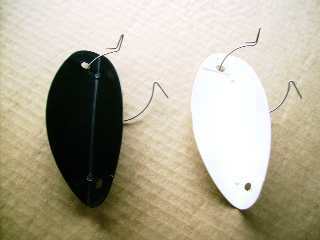 BLACK FENCE-FLAGS® have stand out visibility over snow and both BLACK or WHITE FENCE-FLAGS® are packaged 12 per bag and available thru your local Agricultural dealers or contact our Retail Catalog Distributors.